- Present yourself at the house. This is the primary reason why you'll want to come to Hunter's Keep. We'll get to it momentarily. - Reconnoitre the island. Do this and you'll get A Port Report: Hunter's Keep. 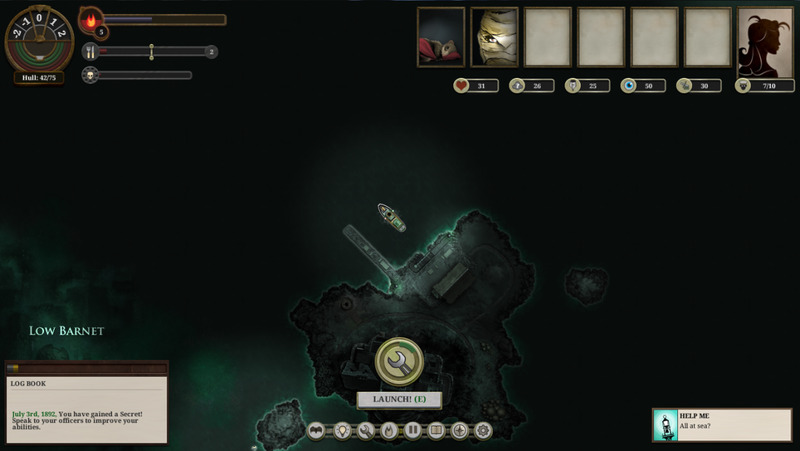 If you're feeling particularly bold / foolish you can do this every time you move from Hunter's Keep to Fallen London, then sell the story to the Admiralty. You'll get a scant 5 Echoes for your trouble, so don't expect this to make you rich. - Spy on the house. A humble little challenge that should be very easy to beat regardless of your starting stats. You'll get your first look at the home's inhabitants, as well as signs that all is not well. You'll also receive Fragments for completing the challenge. 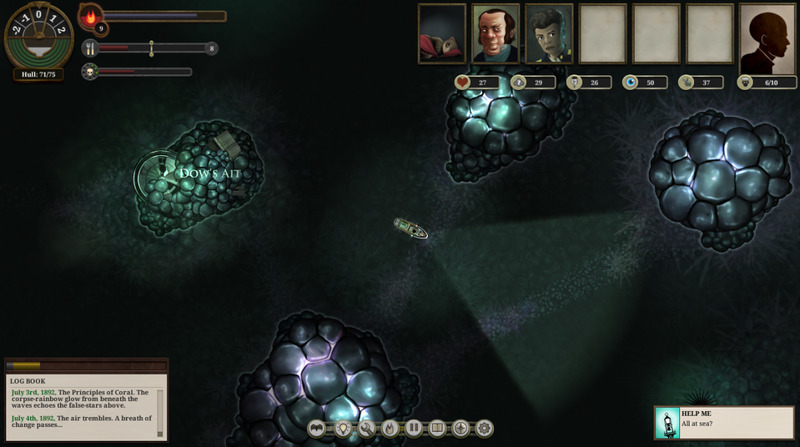 The player visits Hunter's Keep in Sunless Sea. - Cynthia - Receive 1 Supplies, 1 Terror, and 1 Tale of Terror. Cynthia is the dour one, and she makes it her mission to gloom you to death over some chops. - Lucy - Receive 1 Supplies, reset Hunger to 0, - 4 Terror. Lucy is the opposite of her sister Cynthia, and is a fantastic choice if you're trying to get rid of Terror in a timely, efficient fashion. - Phoebe - Receive 1 Supplies, reset Hunger to 0, receive 1 Memory of Distant Shores. Phoebe is a little wistful. When you first arrive the sisters will happily receive you, and if you spend enough time out at zee before returning they'll continue to do the same. If, however, you attempt to lunch with them immediately after doing so, they'll be conspicuously absent. The only way to tempt them out of hiding is to drag over some Recent News from London, obtained in your Lodgings. Visiting the sisters can be a great way of mitigating Terror accrued while at zee. TOO LONG, DON'T SPOIL - Be warned! Want to see what happens for yourself? Here's a quick, spoiler-free rundown of the rest of the story. Don't care about spoilers? 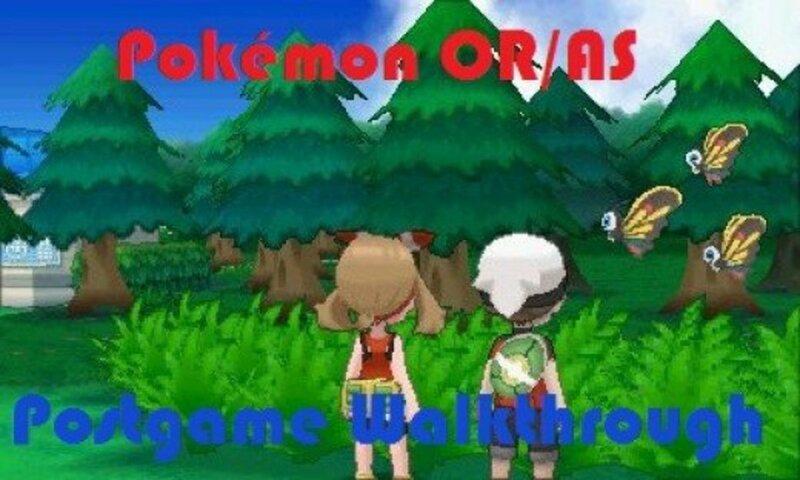 On with the walkthrough, then. After five visits to the sisters (any combination of luncheons will do) you'll find Hunter's Keep shrouded in darkness, the front door unlocked. Approach and you'll find a Mirrors challenge waiting. Complete it and step inside to receive 10 Fragments, 1 Terror, and the signal that 'something' has changed. 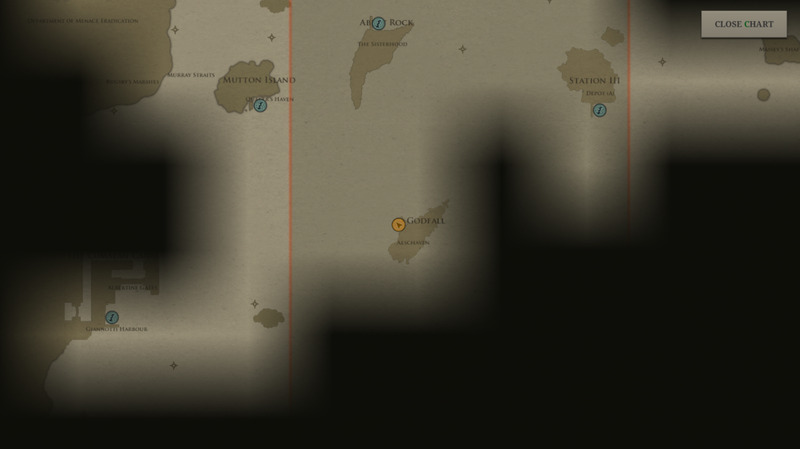 You now have two options to explore, leading to further branching, and if you're canny you can explore both sides before the issue is forced into fiery weirdness. Huh. The maid... is... huh. You can either try to coax her down from her vantage point, requiring a difficult Hearts challenge, or you can try to catch her with a net, which is slightly less difficult. Coax her down - Lose 1 Supplies if successful, as well as 50 Fragments. Receive 1 Terror if unsuccessful. Catch her with a net - The results are basically the same as in Coax her down, though you'll not lose the Supplies but instead gain 5 Terror. You can attempt any combination of these two checks three times before proceeding to Hunter's Keep Alight. 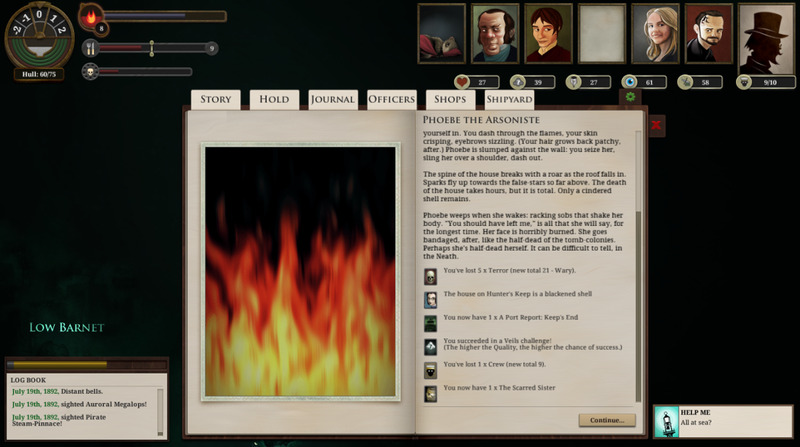 Hunter's Keep is set aflame in Sunless Sea. The rest of Hunter's Keep appears to be empty. What's up? You have two choices here, as well. Search the house - A Mirrors challenge. If you're successful you'll gain 2 Terror, 40 Fragments and a Tale of Terror. You'll also proceed directly to a different event. 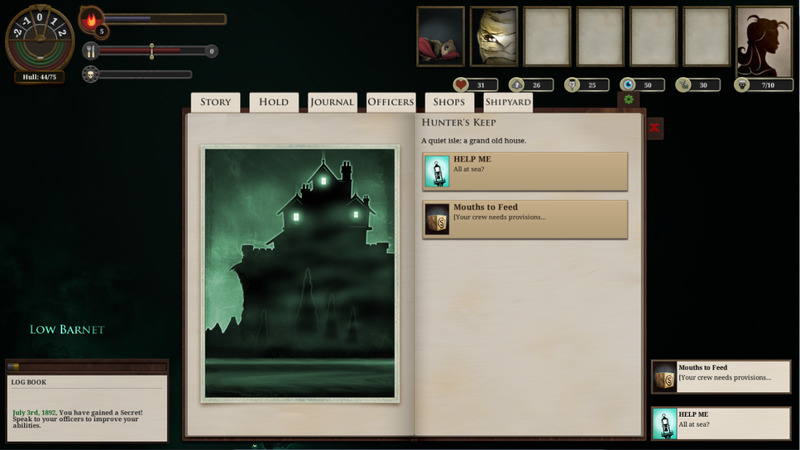 If you failed on your previous checks, or if you only went after the Thing in the Kitchen without further exploring the house, or if you simply stole without Searching the house, Hunter's Keep will go up in flames. 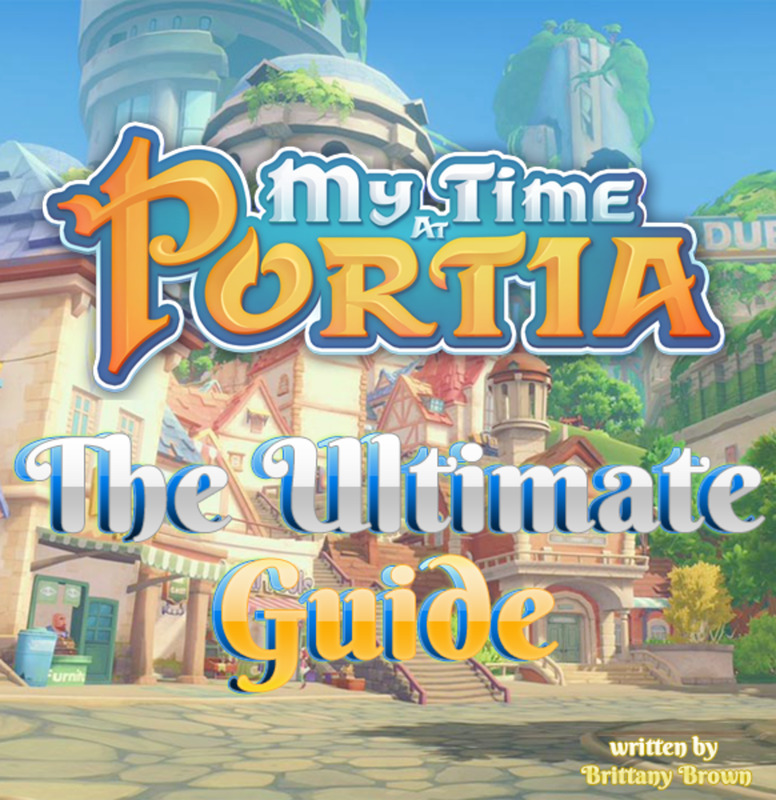 You'll receive A Port Report: Keep's End, Phoebe will demonstrably be Lost in a Fire, you'll gain 1 Memory of Distant Shores, and Terror will increase by 1. Hunter's Keep is done for. You have two options here. If you decide to simply watch, the house will go up in flames. The results are the same as in Hunter's Keep Alight. Decide to Save Phoebe, on the other hand, and you'll face a tough Veils challenge. Fail and you'll receive A Port Report: Keep's End, Phoebe will be Lost in a Fire, you'll lose 1 Crew, and you'll somehow lose 3 Terror. Succeed and the results will be almost identical - except you'll also gain a The Scarred Sister. Her presence will allow the story to continue. From this point on, Phoebe is a member of your crew as The Scarred Sister. You can appoint her as your Surgeon, and she'll allow you to increase your Hearts to a maximum of 100. 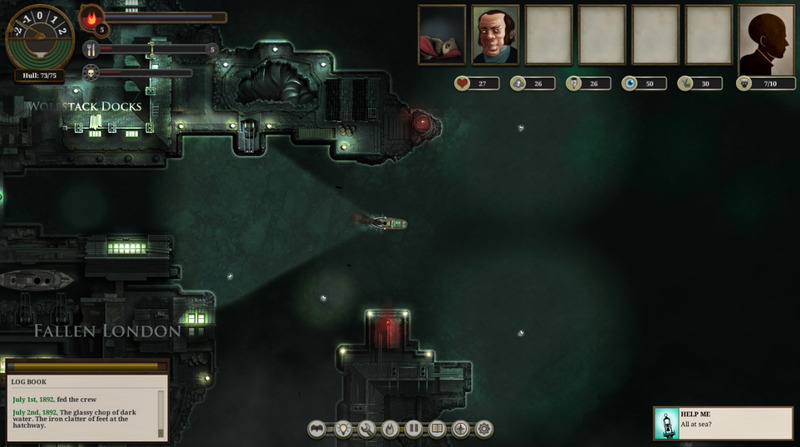 You can also press her to dine with you under two different circumstances, though as of this point in Sunless Sea's development she's done talking about the tragedy of Hunter's Keep. Is her role in the story done, however? Not quite. 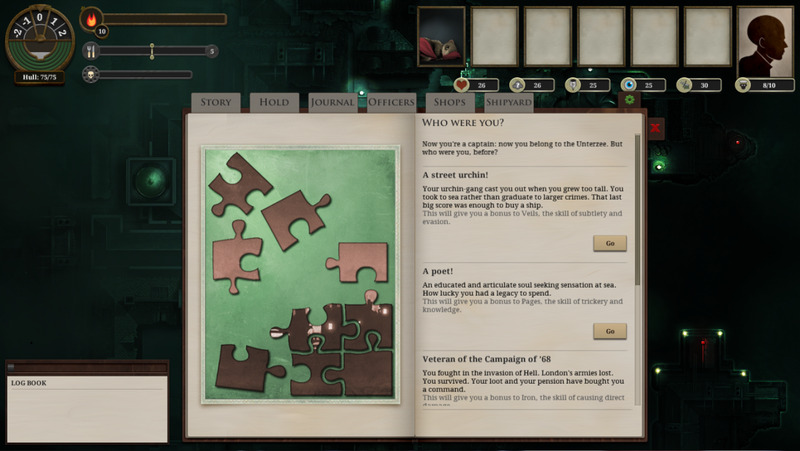 If you travel to Abbey Rock, southeast of Fallen London, you can enlist the Scarred Sister as one of the members of the Abbey in exchange for an Outlandish Artefact. Head to Naples on the Surface, by contrast, and you can give her money (100 Echoes) to seek out her aboveground family. In this case you'll receive one Vision of the Surface, three Secrets, and a small drop in your Terror. In either case, you lose the Scarred Sister as a crewmate. 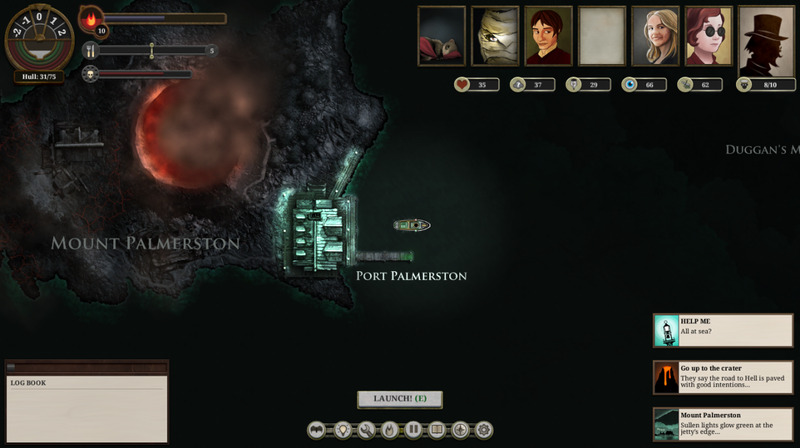 Once the events of the story are done you can return to Hunter's Keep and pick through the charred ruins of the house. You may find something useful; then again, you may only find Terror.